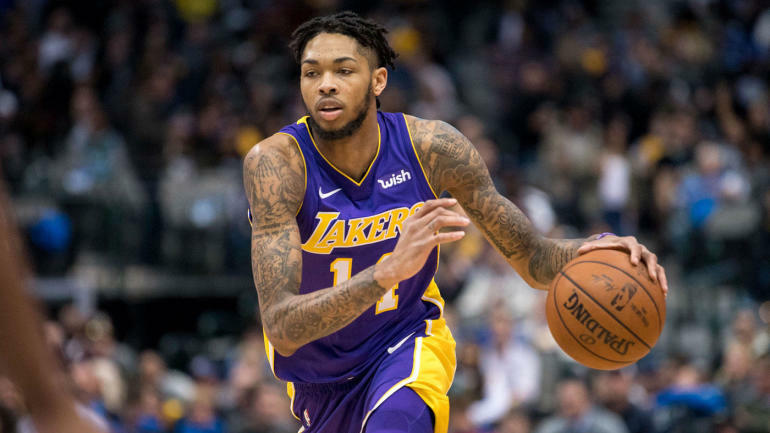 Los Angeles Lakers swingman Brandon Ingram suffered an ankle injury during the first half of Wednesday’s game against the San Antonio Spurs. This is another setback for Ingram after he suffered a concussion, groin strain, ankle and quad injuries during the 2017-18 campaign after he was healthy for much of his rookie season and played 79 games. He appeared in just 59 contests last season. The Duke product showed flashes of his potential as a rookie with 9.4 points and 4.0 rebounds per game but made noticeable strides in his second season with 16.1 points, 5.3 rebounds and 3.9 assists per game behind 47.0 percent shooting from the field. He was averaging 15.7 points on 46.6 percent shooting, 4.2 rebounds and 2.3 assists per game. Ingram can attack opposing defenses off the dribble as a matchup problem but also extend his offensive attack to the perimeter with his three-point shooting. He can also serve as someone who handles the ball and facilitates or scores from the wing. Ingram suffered the injury when he came down on LaMarcus Aldridge’s foot and turned his ankle. After officials reviewed video of the play, Aldridge was called for a Flagrant 1 for not giving Ingram a chance to land after his shot. LeBron James described losing Ingram as “huge” — during Wednesday’s game and for however long he might be sidelined.